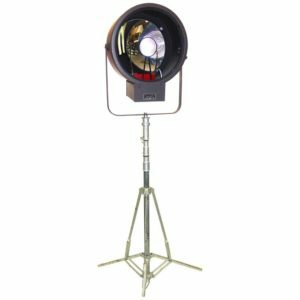 Home / Studio Lighting / Mid Century 5000 Watt Cinema Studio Spotlight. 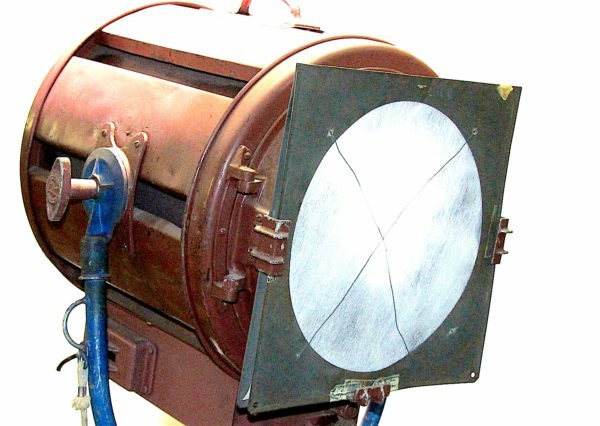 No Front Fresnel Lens. Great Patina. 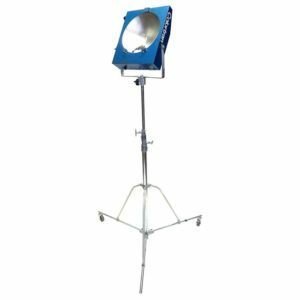 For your consideration, an iconic vintage Hollywood cinema spotlight 5000 watt fixture in the original Mole Richardson factory color and with a blue yoke to identify the equipment owner on the shooting location. 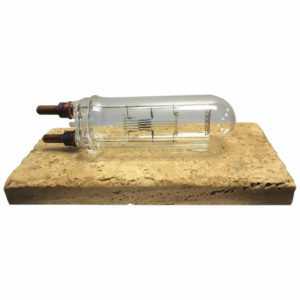 A stand and front fresnel lens NOT included, but available additionally. A correct vintage diffusion frame with diffusion material is included. Original patina from working in Motion Picture Studio filming. 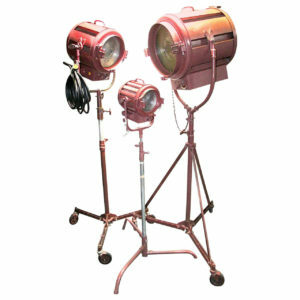 The fixture measure: top to bottom: 36″; front to back: 24″; left to right: 21″. Give a true Hollywood Sound Stage look to your home or commercial interior space.